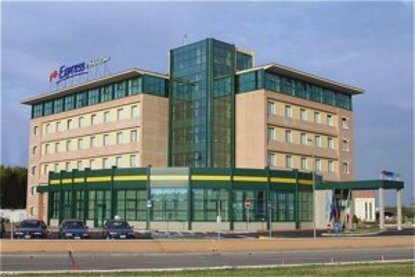 The Express by Holiday Inn Bologna Fiera is located only a short way from the Bologna Exhibition Centre, of Via Michelino entrance, where major international events are staged. For those attracted by a suggestive ambience, the old-city centre with its towers is only 4 km away and within easy reach by public transport.Ideal location for reaching both the main Bologna railway station, just 4 km away, and the Guglielmo Marconi international airport, just 8 km away.For shopping enthusiasts, the large &regParco Meraville&reg Shopping Mall is right in front of the hotel.After a tiring day, try relaxing in the wellness centre, with special rates for hotel guests, open until late in the evening.156 modern-style bedrooms, all perfectly soundproofed, able to cater for the requirements of business and leisure travellers fast WI-FI Internet connection.Large free outdoor car-park.Adjacent Congress Centre with six meeting rooms, all equipped with cutting-edge technological aids fast WI-FI Internet connection. Especially suitable for business meetings, encounters, training courses, exhibition rooms.Modern internal restaurant relaxing ambience, tasty menus and buffets for the pleasure of those guests wishing to spend a quiet evening without having to move around in traffic.